Chad Smith is a Photographer living in Chicago and taking pictures around the world. You will see Chad taking pictures of Jam Bands (en.wikipedia.org/wiki/Jambands) at concerts and music festivals around the country. 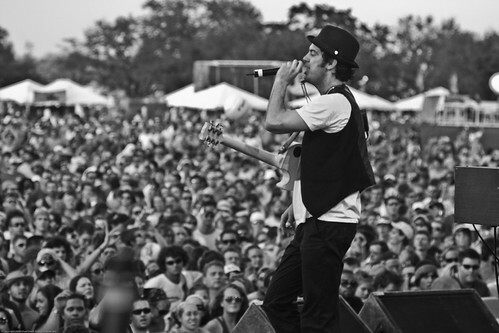 Chad is known for capturing the moment and the "vibe" of a festival and making you feel as if you were there. Click the banner below to access my pictures. Most recent photos are first..
Click below to access my shows by date. All photographs in this gallery are subject to copyrights of the photographer listed above and are protected by the Copyright Law of the United States (Title 17, United States Code) and by the Berne Convention. Reproduction, storage or transmittal by any means, of any image on this web site, whole or in part, is prohibited without express prior written permission. If you wish to publish or reproduce the materials in any physical or digital form or use them for any commercial purpose, including display or Web page use, you must obtain prior written permission from the photographer listed above. Thechadweb doesn't have any testimonials yet.